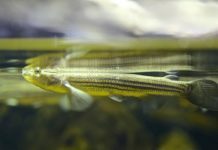 Cleaning your fish aquarium likely doesn’t top your list of favorite things to do. However, it must be done. Luckily, there are a number of supplies that make it easier and more enjoyable to complete this task. 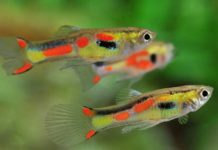 There are several essential aquarium cleaning supplies to consider adding to your collection. If you are trying to do a quick clean of your aquarium glass, you need the magnet glass cleaner. Instead of having to stick your entire arm into the tank, you simply attach this to the glass and move it around with an outside piece that is magnetically attached. It makes this task much quicker and easier. It can also be used when you are doing an extensive clean of the tank and don’t want to reach down to the grimy corners. The product is quite versatile. A siphon is the best way to clean your gravel. It takes a lot of time to dump out the gravel and wash them in a separate container. After that, you need to reorganize them to get a good appearance within the fish tank. Using a siphon allows you to keep the gravel in place. It works like a vacuum cleaner to remove any algae and grime from the rocks. 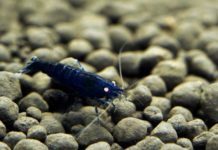 These are especially recommended for smaller fish tanks. Having a filter brush makes it quite easy to clean a filter. 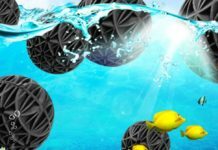 There are a lot of nooks and crannies in the filter, so a brush is your best bet to getting into those hard-to-reach areas. There are a number of different sizes for filter brushes. Some companies bundle them together so that you have several options to choose from. In addition, there are a number of different types of filter brushes with different textures. Because of this, it’s important to do your research to determine which works best for your filter type. 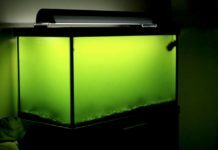 Algae can sometimes be tough to remove, especially from the glass. Even the best aquarium cleaners have a tough time getting it off. Algae scrapers are an essential cleaning supply because they can help you get through this grime, no matter how thick or tough it is to get off. Many of these scrapers also come with other accessories, such as a shovel. This is useful for if you are cleaning a specific area of the tank or only need to remove some gravel. All of your attention shouldn’t be focused only on the inside of the aquarium. It is important to clean the outside as well. 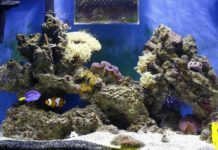 Use a special cleaner for your aquarium glass. 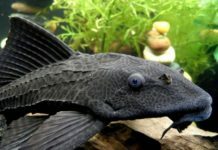 There are toxins in normal cleaners that can be harmful to your fish. There are a number of aquarium glass cleaners on the market. It doesn’t have to be fish-specific, but it should be suitable for use around small animals like reptiles or rodents. 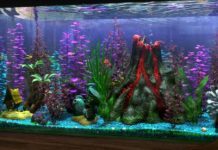 There are numerous aquarium cleaning supplies on the market. Because of this, it can be tough to determine exactly what you need. 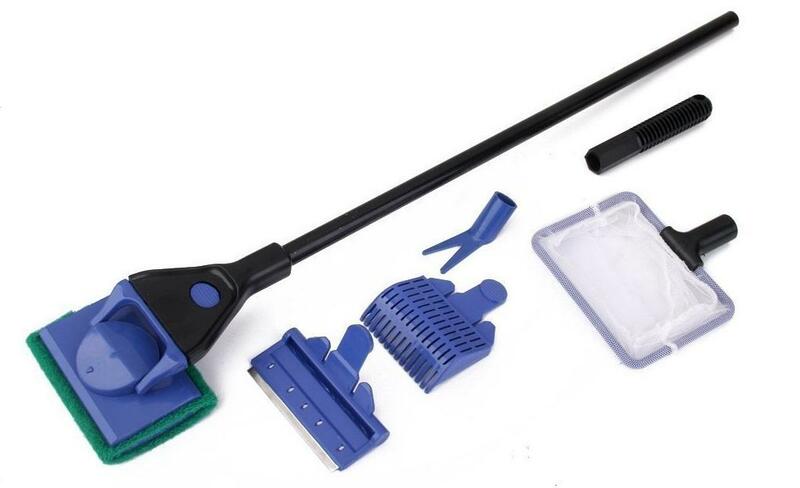 There are some tools that are essential and will make your cleaning process much easier. 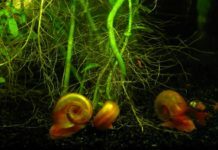 However, you will learn what works best for you as you clean your tank.